The signature sandwich at Italian sandwich truck Lil’ Dan’s may be the oddest delicacy on this list. The spicy-sauced chicken cutlet has been breaded in Oreos. Less adventurous eats include eggplant parm, Italian pork and Magglio sausage sandwiches. 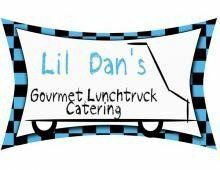 Lil Dan's was started in September of 2009 by Daniel and Laura Pennachietti, in memory of their son Daniel Pennachietti Jr. who passed away in September 2005. We are close knit family made up of a strong Italian and Irish heritage. The majority of our recipes have been passed down for many generations! Lil Dans is a family-owned and operated business, and know the cost of trying to have good food with a price that is affordable. Our family stands for good food at a reasonable price. You have heard the saying "You get what you pay for.". Well I am here to tell you that "you will get More than what you paid for".